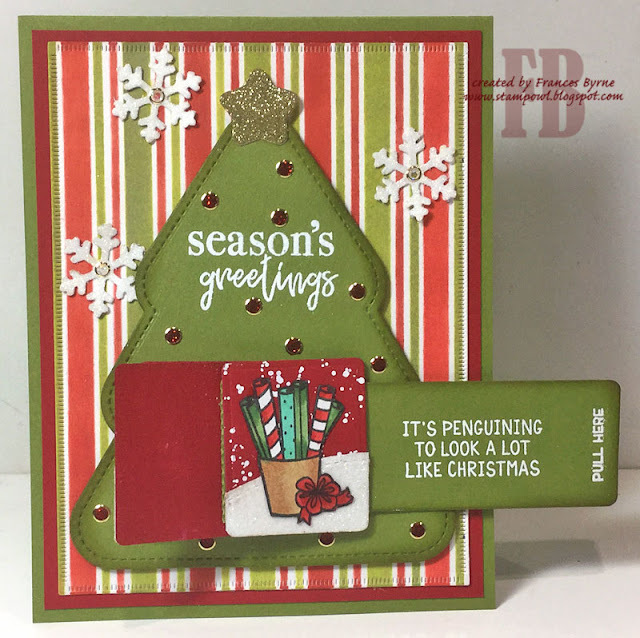 Today I have a Christmas card to share with you today using Mama Elephant's Flip Slider die set which creates a waterfall type card. I already have two dies of this type from Tonic however they are fairly large so you need a larger than a standard size card. I was excited when I saw Mama Elephant had something smaller, although it was a lot smaller than I was expecting, but it is still fun and I am sure I will find lots of uses for it in the future. Here is a quick video showing my card in action. 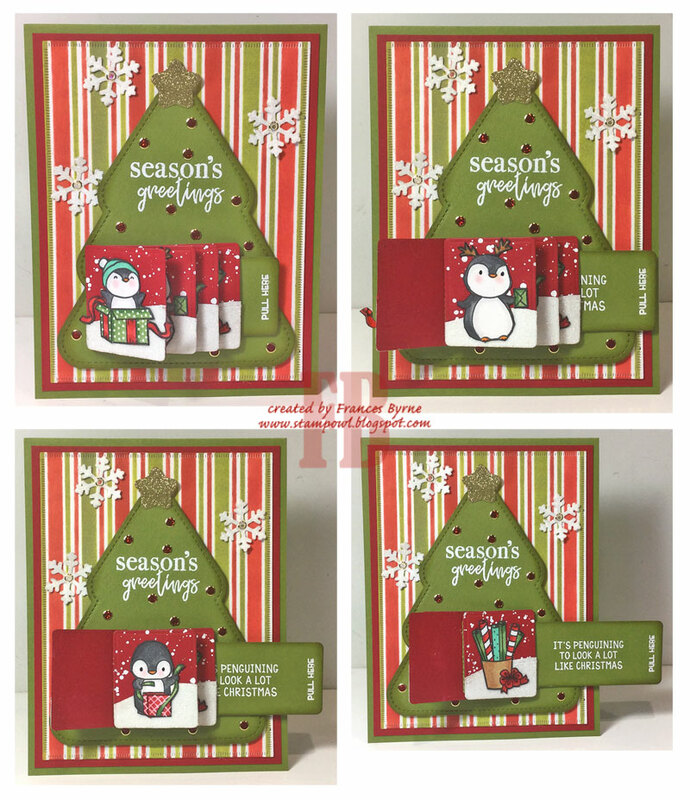 For the striped background of my card I used the Stampers Anonymous / Tim Holtz Christmas Shifter Stencil. 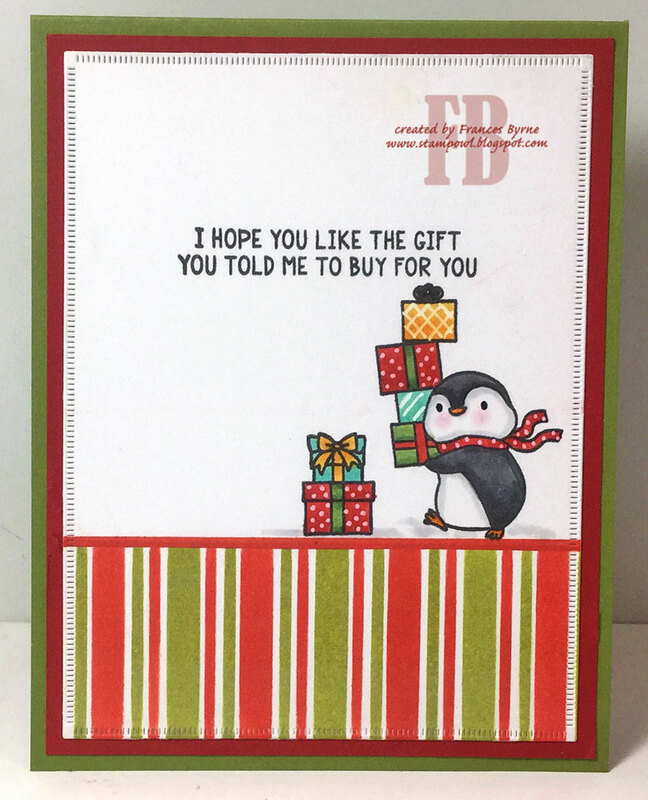 I used Distress Oxide inks to add the two different colored stripes. The large Christmas Tree is Lawn Fawn's Outside In Stitched Christmas Tree die set. The penguins are from Mama Elephant's Cool Penguins Clear Stamp set. 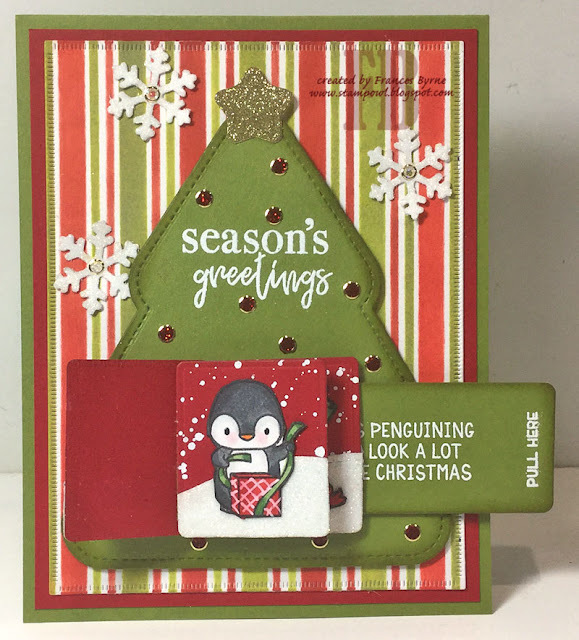 I added the sentiment to the long green panel of the flip slider die cut. 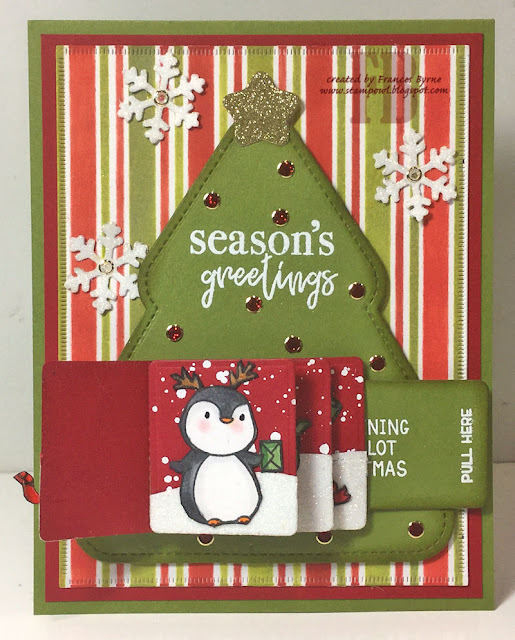 The red panels on the flip slider have been splattered with white paint to resemble snow and then added some glittery snow to the bottom of each panel using Warm Diamond Silk Microfine Glitter. 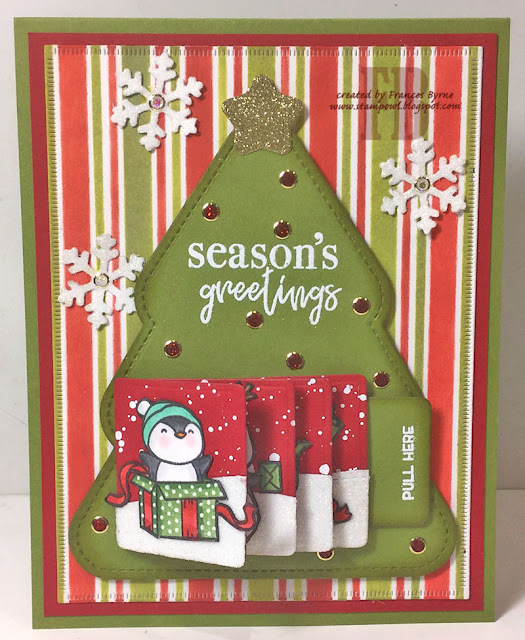 I added a couple of snowflakes randomly around the top part of the card and also added a few Glitter Dots Peel Off Stickers to the snowflakes and around the tree. Here is a look at each of the four different panels as the waterfall/flip part of the card is opening. For the inside of the card I added a striped background to the bottom edge of the card using the same stencil I used on the front. I also added a couple of images and sentiment from the Cool Penguins stamp set. This is so fun! And then the inside is super cute too.